CALNE is a small town in the north of the Salisbury Diocese. Set in attractive countryside to the west of the Marlborough Downs. The population is growing rapidly - much faster than the average for Wiltshire as a whole - and it is this factor which, more than any other, provides the parish with an exciting challenge. 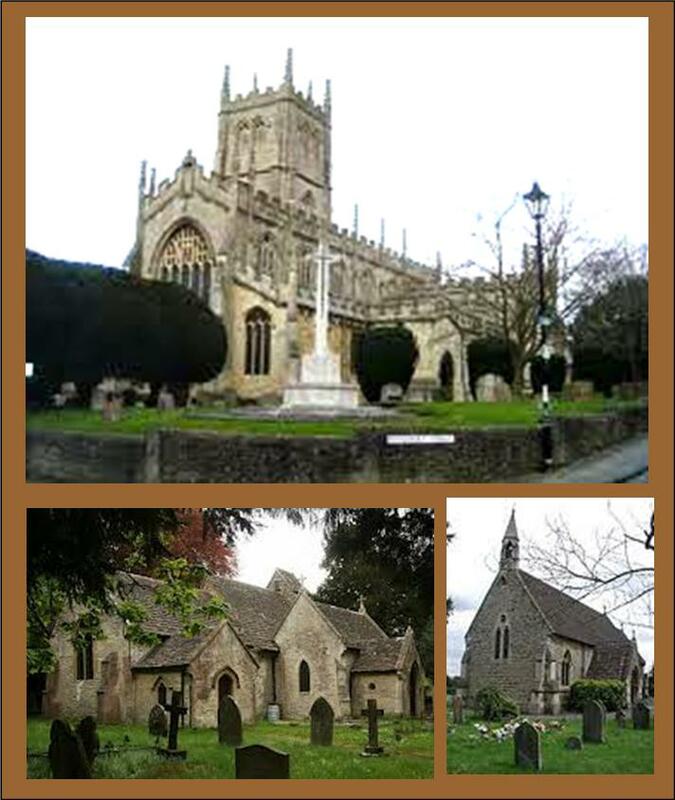 We have three churches in our parish, Including the impressive Grade 1 listed St Mary's in the middle of Calne, the cosy Grade 2 listed St Peter's tucked away in Blackland and Holy Trinity in Quemeford. We do many activities together and see ourselves as one big family. Our 3 Churches offer a wide range of opportunities for worship and fellowship. The Eucharist (Holy Communion) is central: The Common Worship services(Modern Language) are used throughout the Parish, and the Book of Common Prayer is used regularly at St. Peter's. See the calendar page for information about services and events. Click here to see the Salisbury Diocese Newsletter - Grapevine. Help the Parish finances by going to www.easyfundraising.org.uk/causes/stmarycalne and registering yourself for donations from companies to go to 'St Mary the Virgin Parish Church'. See the Noticeboard page or Calendar for more information about current events.